Traveling to the Amalfi Coast of Italy is one of those places that’s very hard to describe in words. One has to see and experience it for themselves to truly appreciate this enchanting part of our world. Apart from the endless beauty, the Amalfi Coast is world-famous for its splendid shopping, lodging, cuisine, wine, and culture. Even though endless travelers flock to this breathtaking area every year, it maintains a quaint, cozy feeling that will immerse you in the “Vita Bella”. On each trip to the Amalfi Coast of Italy, I strive to discover new treasures and hidden gems to experience with my guests. While many of the guests on my trips consist of couples, it’s the women who seem to have their hearts touched the most by their experiences. I’m happy to share with you some of my favorite things to do on the Amalfi Coast, and a few recommendations to make your trip to the southern coast of Italy one you will never forget. Mesmerizing, intoxicating, breathtaking. These are the words I often use to describe the magical town of Positano. From my point of view, Positano is one of the most impressive sights on the Amalfi Coast of Italy and offers everything you need to make your visit memorable. The scenery alone leaves visitors speechless. Boutique hotels nestled in the cliffs offer outstanding views of the sea as well as access to the central areas for shopping, food, and coastal fun. 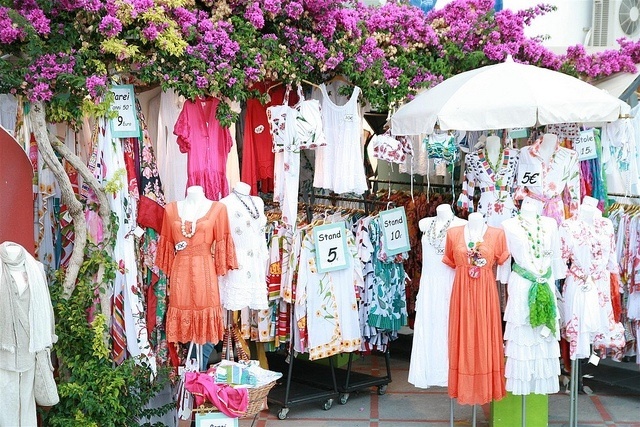 One of my favorite things to do in Positano is to browse the markets and shops. 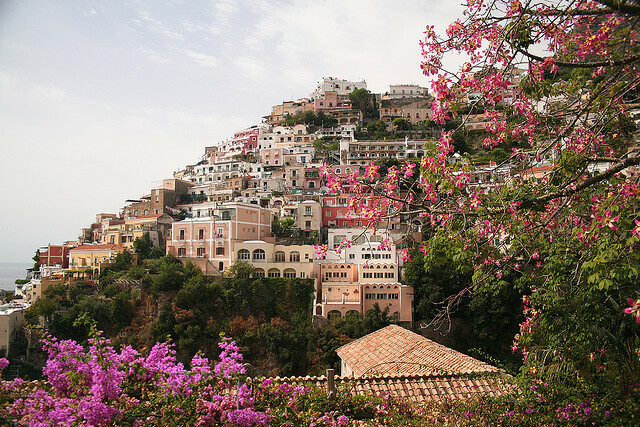 Closed to traffic, secluded streets and alleyways are filled with art galleries, restaurants and shops offering jewelry, shoes, and beautiful handcrafted clothing, natural and brightly colored linen garments – a unique Positano style. Several shops, famous in Positano, offer flat Capri sandals, customized for you, on the spot. 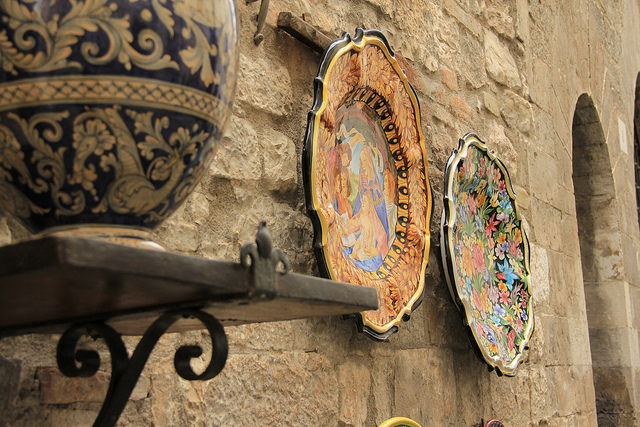 Designer boutiques, exquisite perfumes, local limoncello, and handcrafted souvenirs fill the shops on the tiny streets, making walks though this town fun and adventurous. For the sweet tooth in all of us, there are endless opportunities to savor a gelato or other delicacies.Positano has a couple of small beaches, Marina Grande and Fornillo, providing you the opportunity to sneak away with a hat and your favorite book for some R&R. The church of Santa Maria Teresa of the Assumption definitely deserves a visit, and the restaurants and famous hotels perched high on the cliff allow for excellent cuisine and cocktails that are sure to suite all tastes. Special evening outings to the Le Sirenuse Hotel and Il San Pietro Hotel for cosmos and lemon martinis are a must. Just a short, and beautiful ride from Positano lies the historical town of Amalfi. This area is the heart of the Amalfi Coast of Italy. 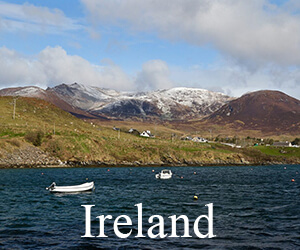 It’s here where visitors often arrive to start their vacation and explorations. Small towns dot the cliffs and surround Amalfi making this an easy place to stay. World renowned for its cotton writing paper called “bambagina”, hand made since the middle ages, this old world charm brings the romance back to writing. 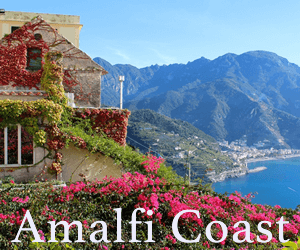 Amalfi offers a little slice of everything for visitors, including wonderful trattorias in the town and by the sea, shops offering beautiful leather purses and shoes, a magnificent Cathedral, and the opportunity to get to just about anywhere on the coast. For your sweet tooth, a must visit is Dolceria Antico Portico…the perfect spot for an espresso and pastry and if your culinary side kicks in, they offer gelato, chocolate and pastry classes. The harbour offers water taxis and ferry lines that will take you to magical places like Capri, Positano, Ischia, Salerno and more. About 20 minutes away from Amalfi, perched high above the mountains, you will discover a jewel, the town of Ravello. A place that will always hold a special place in my heart, Ravello is a charming, cozy town that is simply unforgettable. 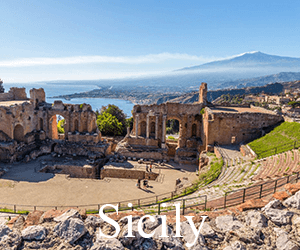 This little treasure will amaze you with its breathtaking vistas of the Amalfi Coast, it’s historical monuments, and it’s world famous gardens. It’s a spot that attracts artists, musicians, authors and cultured travelers from all over the world. Small and quaint, Ravello offers great shopping with shops offering unique items such as coral and cameos designed and handmade by a master craftsman. Cashmere sweaters and scarves are also plentiful, as are the art galleries and ceramics. 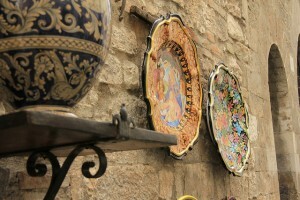 In fact, tucked way in the back of one of the alleyways lies my favorite ceramic store on the coast. Family-owned, and widely popular, Ceramiche d’arte Carmela offers an unbeatable stunning selection of pottery and ceramics that can be shipped to any place throughout the world. A must do in Ravello, is to sit and have a drink on the terrace at the Palazzo Avino—a world famous luxury hotel—and stroll through the gardens of Villa Cimbrone, a historic building dating back to the 11th century AD. This place offers architecture and historical sculptures, and endless gardens—all perched on the highest cliff with the most amazing views of the sea. However, the biggest high-light of any trip to Ravello, is the cooking class I take my guests to at the home of Mamma Agata and her family. 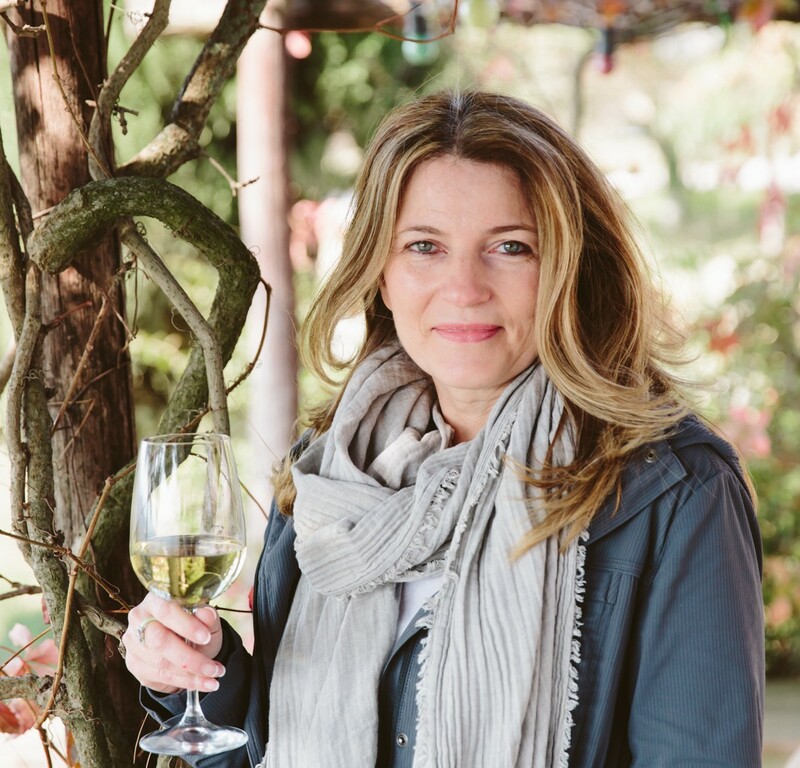 For any lover of food and travel adventures, the world famous Mamma Agata Cooking School offers visitors a rare once-in-a-lifetime culinary experience. 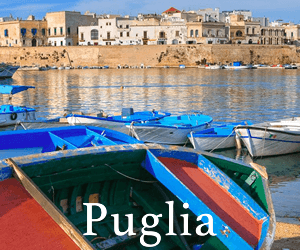 Stroll the family gardens for vegetables, prepare delicious southern Italian cuisine while sipping wine in her kitchen overlooking the sea. 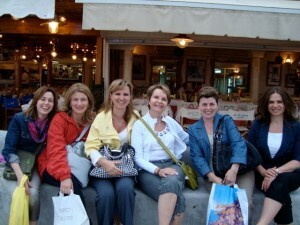 You will never forget your day filled with great food, warmth, laughter and friendship. One cannot travel to the Amalfi Coast of Italy without taking a short boat ride from Amalfi to the glamorous Isle of Capri. There are actually two towns on the Island: Capri and Anacapri. Many visitors to the island will tour famous Capri without giving Anacapri a second thought. 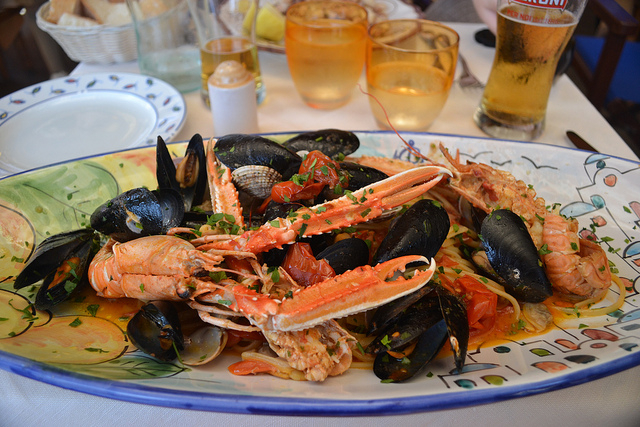 However, it’s in Anacapri where the true treasures lie. Here you will find less crowds, tranquil nightlife, splendid fashion and cozy gardens. Anacapri is also world famous for the perfumes made with the most beautiful flowers of the island, and a visit to Carthusia di Capri perfume shop is a must. Anacapri has some of the most important attractions on the island, including the chairlift to Monte Solaro, the highest place on the entire island. 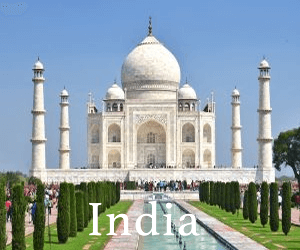 This awe-inspiring experience is a must for everyone. Traveling along the mountainside in an open chairlift, one is able to soak up the sun and fresh scents from the land, while embracing the unforgettable views of the sea, and the native wildlife. The Villa San Michele is another must do. It’s a magnificent museum that offers a rich history of the area. 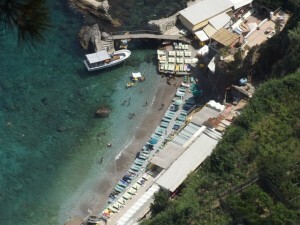 About three kilometres away lies Capri—the main port of this island. Capri is busier but offers visitors a more lively nightlife and some of the best shopping on the Amalfi Coast of Italy including Prada, Bottega Veneta, Versace and the list goes on. There is no doubt, the Amalfi Coast of Italy offers it all – glamour, shopping, food, wine, culture… an unforgettable experience you will remember for a lifetime. A definite place to put on your “bucket list”! Each and every time I return, I just fall in love…again. I hope your travels bring you to this magical place one day.